Not all abuse leaves cuts and bruises. And not all abuse happens at home. In the last ten years, the incidences of workplace abuse has increased by 200% and affects nearly 30% of employees during their careers. Why is it that in the dynamic, ever-changing nature of business, workplaces are now more susceptible to bullying behaviour? How can we protect ourselves against that? Verbal abuse is when one person uses forceful language with the intention of harming another person’s self-concept and producing negative emotions. 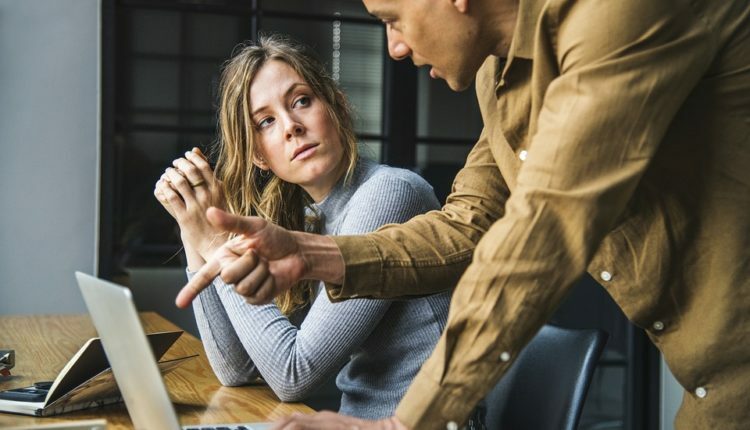 Her definition of workplace abuse includes behaviours such as yelling and screaming, name-calling, gossip, intentionally ignoring someone and withholding information. Why is Workplace Abuse a Growing Problem? The demands of the modern workplace can often lead to workplace abuse. Nowadays, it’s not only companies competing with each other, but employees must compete with each other as well. Because of our fluctuating economy, people are worried about cutbacks, lay-offs and losing their jobs. This creates an environment of paranoia and competition in which people are resorting to ruthless and abusive behaviour in order to maintain their status and position. Apart from the fear of losing a job, the demands of the modern workplace – high pressure jobs, lower wages, fewer resources – can often lead to workplace abuse. Studies have shown that the effects of workplace abuse is costed the health industry millions of dollars. Even though verbal abuse does not leave physical scars, the results of being abused and harassed at work include stress, anxiety, weight loss and sleep issues as well as the impact it has on job performance. In 2009, an Ontario woman by the name of Meredith Boucher was awarded $400K after suffering workplace abuse from her manager. A ten-year veteran of Wal-Mart, Meredith was a model employee until her manager began to bully and humiliate her. The abuse began after an incidence in which the manager requested that Meredith falsify information on the temperature logs in the frozen food section. Being an honest person, and a good employee, she refused. From the day on, for six months, she was tormented by the manager. Over that period of time, Meredith lost more than 25 pounds, couldn’t eat and couldn’t sleep. After filing harassment claims against the manager, and having them denied for being “unsubstantiated”, Meredith eventually quit her job. Soon after, she filed a lawsuit against the former manager and Wal-Mart. An appeals judge sided with Meredith and she was awarded $1.4 million – but that was later reduced to $400K. Although she may have won the battle in court, the war still wages on. That manager was never fired or reprimanded – Wal-Mart openly disagreed with the court findings. Stand your ground. Let the other person know that you do not like their behaviour and will not tolerate it. Document everything. Be sure to write down what occurred, when it occurred and if anyone else witnessed the behaviour. Speak to a supervisor. Take the matter to someone in charge and show them your documentation. If your supervisor is the problem, try speaking to someone above them. File a complaint. Speak to a lawyer about filing a complaint with the Equal Employment Opportunity Commission (United States) or the Canadian Human Right Commission. You can only do this if you have previously reported the issue to your employer.